This is over the edge. 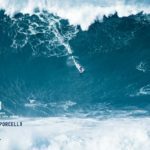 The WSL Big Wave Tour is the world’s best Big Wave Surfers charging massive waves at three of the world’s premier breaks: Mavericks, Jaws, and Nazaré. We’re on the lookout for storms that generate HUGE waves — and when they do, the surfers, fans, and a whole lot of cameras fly in from all corners of the world to put on a spectacle unlike any other. Check out the three places we’ll be competing this winter: Mavericks is a HEAVY wave that breaks so powerfully that it shakes the ground. Woof. 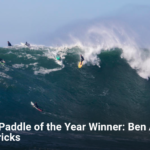 Jaws, also known as Pe’ahi, is Hawaiian perfection at 10x the size — which means peril for anyone who makes a mistake. 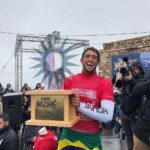 Nazaré is truly a liquid mountain. It’s consistently where the biggest waves in the world have been ridden. Get ready to witness something truly incredible. Get ready to go over the edge. The window runs until March 31. 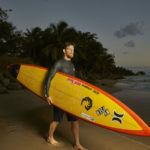 #WSL Subscribe to the WSL for more action: https://goo.gl/VllRuj Watch all the latest surfing action of the world’s best surfers in the world’s best waves. Heats on demand, event highlights, and exclusive interviews, right here on the WSL’s Youtube channel.